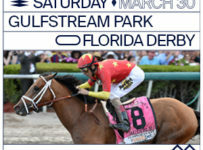 Monday, June 29 — Race fans, saddle up for a real treat scheduled for Tuesday and Wednesday this week at Tampa Bay Downs. 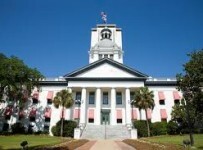 The Oldsmar track will have its third annual Summer Festival of Racing. 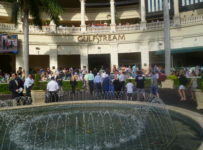 There will be eight thoroughbred races each day–with horses, jockeys and trainers whose names are well known to local fans. 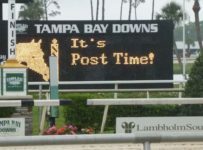 On each day, Tampa Bay Downs will offer five turf races and three dirt races with first post time at 12:20 p.m. Adding to the excitement is the third annual $5,000 Jockeys’ Challenge. 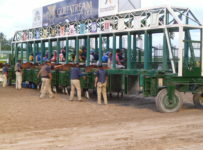 The first-place jockey for the two days earns $2,500, the runner-up receives $1,500 and the third-place finisher collects $1,000. Points will be awarded from first through eighth place in each of the 16 races on an 8-7-6-5-4-3-2-1 basis. In case of dead heats, the jockeys involved will split the point total (a dead heat for win would be worth 7.5 points to both riders). In case of a tie in total points, the winner will be the jockey with the most victories. 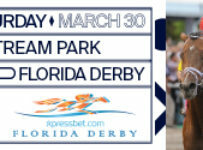 Jockeys such as Ademar Santos, Augusto Marin, Eddie Martin Jr., Rosemary Homeister Jr., Jorge Guerra and Manoel Cruz are scheduled to ride. Santos won the Jockey Challenge last year. 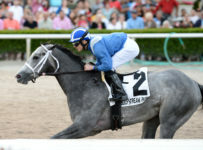 Homeister, a local fan favorite, is named to ride in six races on Tuesday and in five races on Wednesday. 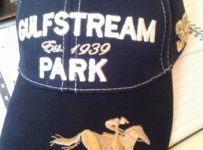 She is making the trip from Chicago, where she is riding this summer at Arlington Park. That track is dark on Tuesdats and Wednesdays. Santos has five mounts on Tuesday and four on Wednesday. Gerald Bennett, Chad Stewart, Kathleen O’Connell and Lonnie Arterburn are among prominent trainers who have entered horses for the Summer Festival of Racing. On Tuesday morning, we will have a preview of both days’ races. 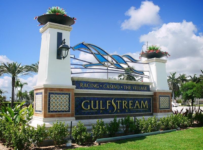 If you are new to horse racing or a seasoned veteran, this two- day festival is a great time to get out and enjoy the excitement of live horse racing. 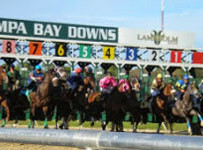 Wednesday will be the last day of live racing at Tampa Bay Downs until Nov. 28. 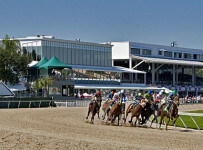 Tampa Bay Downs offers free parking, free admission, a huge menu to appeal to all tastes and cold drinks for all ages. 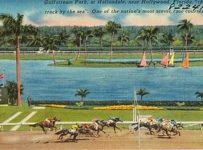 It is a great time to learn about horse racing and make you first bets, or become a winner with great payouts. 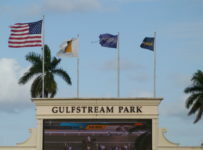 There are air conditioned and open air grandstands (shaded) available for all. 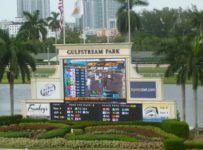 Tampa Bay Downs has dozens of TVs around the property–showing the live races and races from about a dozen other tracks on which simulcast wagering is available.